Enjoy luxury at its absolute finest with professional and discreet crews. Charter spectacular yachts in peak demand locations or choose to travel off the beaten track. Since all expenses are additional, you’ll see that each of your requests are met. From relaxing vacations in known areas like the south of France, Monaco or St. Barths, to adventures in new and exciting locations, there are many different ways to enjoy your yacht charter, but no matter your vacation style, traveling in luxury should be an option. 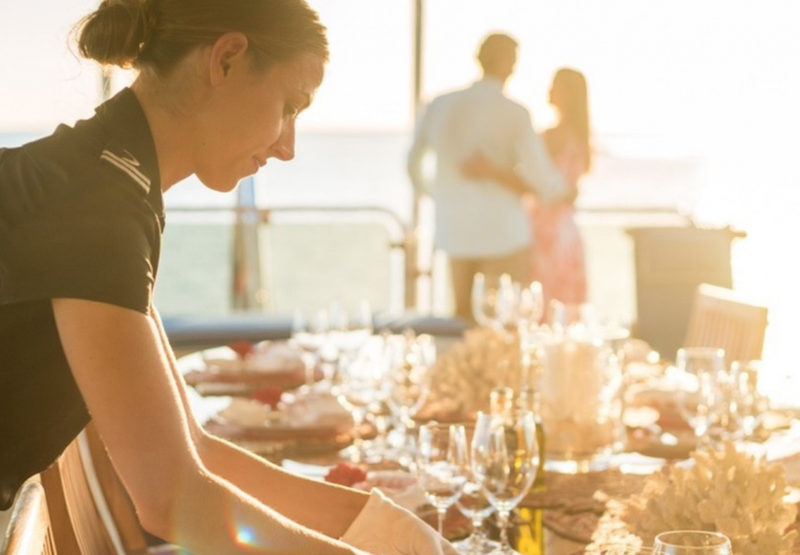 Whether you’re flying solo or planning a trip for your family and friends, chartering a megayacht can be one of the most rewarding ways to enjoy your success. 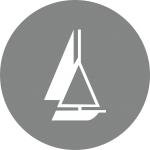 Large yachts, both motor and sail, have gotten exponentially larger in recent years due in large part to technological innovations. Most often custom or semi-custom builds, megayachts are assembled in some of the most prestigious shipyards, merging the talents of skilled craftsmen with innovative design. No two megayachts are the same, allowing you a truly unique experience no matter which you choose. Internationally renowned designer vie to produce the most distinctive yet functional decors. Megayacht builders don’t simply understand luxury; they define luxury. We charter megayachts from a variety of different builders, including Lurssen, Feadship, Royal Huisman, Bennetti, Vitter, Alloy, Proteksen Turquoise, Perini Navi, CRN, Abeking and Rasmussen, Trinity, Westport, and Oyster. Each of these builders offer their own distinct style, giving you many different options when choosing your megayacht charter. Any yacht over 80’ in length is a megayacht, but they can be as large as over 700’ in length. Styles vary heavily between builders, ranging from the Lurssen Martha Ann’s traditional European styling and elegance to the sporty and fun 125’ Oyster sailing yacht Twilight. The term ‘megayacht’ covers a wide variety of different styles and differing price points as well. They can be anything from a classic restoration of the famous J class racing yachts like Ranger or Endeavor or sturdy explorer power yachts designed for adventure. The beauty of a chartered megayacht is that there’s one for every possible vacation style. There are luxurious megayachts, sporty megayachts, even megayachts designed to brave challenging voyages. Because of their size alone, chartering a megayacht truly opens up your vacation possibilities. You can include your family on a vacation or enjoy the freedom and space offered by a megayacht with a few close friends. Megayachts charter for a base rate plus all expenses, giving you the power to pick and choose exactly how you’ll spend your money, and we can make just about anything happen, all within the privacy and security afforded by a yacht charter. Aside from the swimming pools, steam rooms, theaters and spas, the real specialty of megayacht charters is the ‘can do’ attitude of the crew who are determined to fulfill your every wish, from the simple to the sublime. Megayachts are available and constantly on the move all across the world. Whether you wish to enjoy St. Barths during New Year week, with that hotly contested spot on the quay in Gustavia, or explore the less traveled road and visit Belize for the diving or the San Blas Islands off Panama to experience the Kuna Indian tribal villages, your captain can make it happen. Megayacht charters tend to be seasonal as large yachts reposition around the globe to take advantage of the best weather. 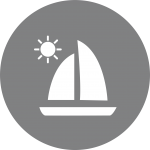 The BVI or Leeward Islands is perfect from late December until early March, when many yachts cross the Atlantic to reach the Western Mediterranean by late May. If you want to explore cooler climates, there are often a number of special opportunities in locations like Scandinavia, Alaska and the Pacific Northwest, or even Antarctica! 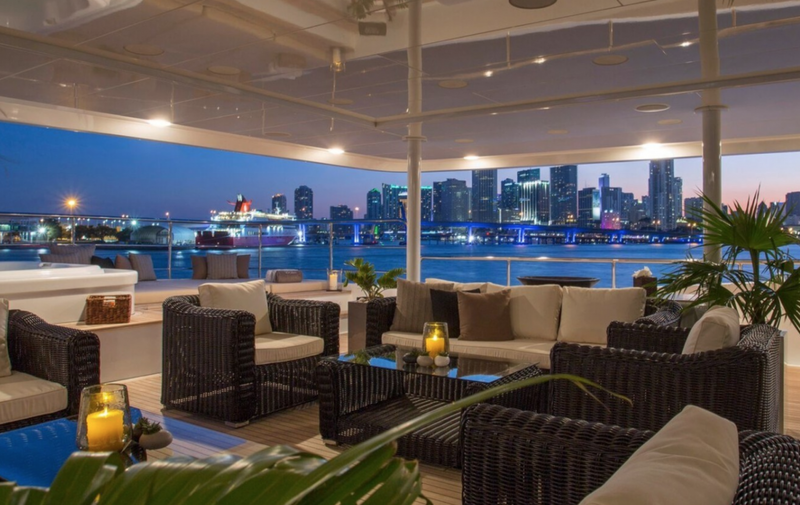 A megayacht is the perfect platform to see new parts of the world as well as revisit familiar destinations. You’ll be accompanied by a staff trained to minimize life’s hassle for you. You can indulge in any number of activities, both on land and offshore, all across the world, so you can enjoy your perfect vacation. Whichever destination or design you choose for your megayacht charter, know that the experience will be enjoyable, memorable and restorative. See your travel dreams come true, get started planning your vacation today.